The singer revealed on Instagram that she married comedian Alan Carr and his partner in her Los Angeles home in January. Adele made a friend feel her love. 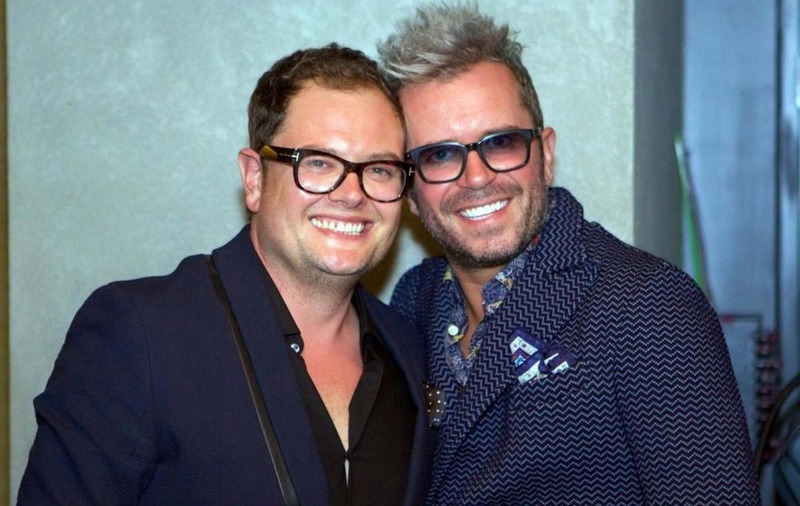 The singer confirmed on Instagram Tuesday that she got ordained in order to marry her friend, comedian Alan Carr, and his husband, Paul Drayton, in her Los Angeles backyard. “Seeing as the cats out the bag. I married two of my best friends in January. You know me any excuse to dress up … ” the “Someone Like You” singer wrote. Her post comes after Carr revealed the news on the U.K. program “This Morning” Tuesday. He said that Adele not only officiated his wedding earlier this year, she also planned it. And she took her wedding planning duties very seriously. According to Carr, the 29-year-old also sang the song for the couple’s first dance, provided flowers, hosted a three-course meal and flew herself and the couple to Las Vegas to see Celine Dion perform. Carr said Adele is “the kindest, most sweetest, loveliest person ever” — and she also has a fantastic sense of humor. Carr said they were whisked away before Adele could pull the prank, but, as Dion would say: That’s the way it is.